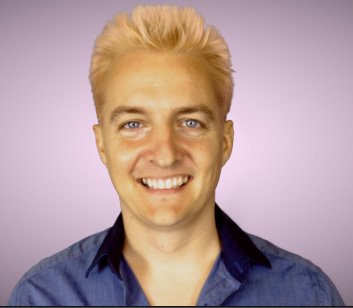 Murray Newlands Talks about Getting PR for Your Startup – Interesting for Bloggers Too! One of the reasons why a significant number of startups fail is due to lack of press. Press helps startups gain exposure and create awareness. These startup companies fail to get journalists to write about them because they are always trying to explain what services and products they offer; this salesy way of reaching people is what turns away most journalists and readers. To better understand the best ways for a startup to get PR, we need to take advice from a professional who knows what they are talking about. One such expert is the Inc. columnist, Murray Newlands. Murray is well respected in the startup circles and is considered the to-go-to guy for advise on how new startups can get PR. 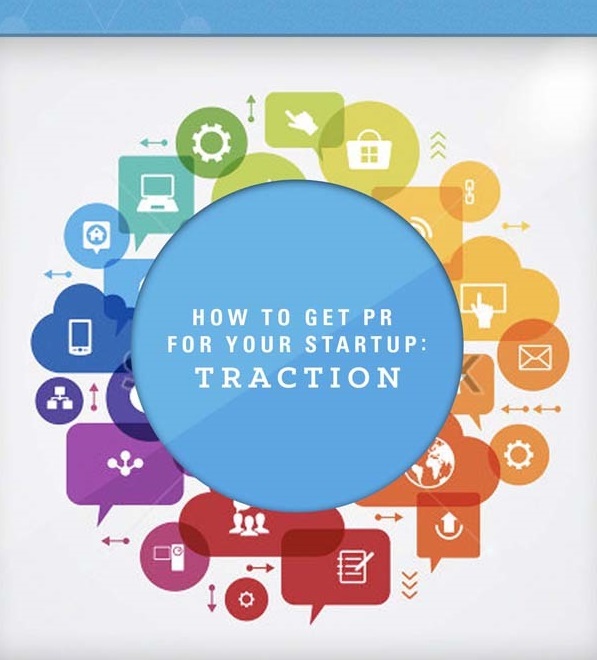 In fact, he recently partnered with Drew Hendricks, another Inc. columnist, to release a book titled “How to Get PR for your Startup: Traction”. In the book, Murray and Drew talk about the ways startups can get press coverage without paying truckloads of cash to PR agencies. They also share some of the tips and tricks they have learnt. In this post, Murray shares his knowledge by answering some questions. Pay attention, because these principles can be applied to blogging too (or other online businesses). What is the best way to get people to pay attention to my startup? Nobody likes reading or listening to a story that is too salesy; you can be sure no journalist will want to cover your story. However, if you tell a story about your startup company and how it helps people, you will have successful PR campaigns. This is mainly because a journalist will always want to cover stories and write articles that will be interesting and connect to his/her audience. According to Newlands, journalists like covering news and stories that will help their readers or something that they will care about. He also explains, “The biggest part of a startup company’s story should be about how they help people; only a small part should be about the company. These are the kind of stories that journalist love because they will garner them many page views in addition to captivating their readers. Does your answer to the above question mean that I should not talk about my company’s products? “No. The point is to explain the problems that your products or services solve. The readers, first and foremost, want to know what your product or services can fix in their lives before they get interested. This is what will compel people to use/buy your products,” Newlands explains. As a startup, it is crucial to know exactly what problems your product/service solves so that it can be easier to explain it to journalists. Journalists always love startups whose products and services solve real-life problems. How should a startup pitch to the press? There are a number of things that entrepreneurs should do to avoid getting on the nerves of reporters. Startups need to find ways of getting journalists to notice them. How can a startup grow its PR network? Do the legwork – that’s the simplest way of putting it. You have to work hard towards making connections with journalists; there just isn’t any other simple way. Take time to develop a relationship with the journalists in your network. “Much, much later – when it feels right- you can then pitch your story,” Newlands says. “If you think this will take too much of your time, or you cannot handle it, you should get the services of a PR agency,” Newlands further explains. How can I make the most out of the press I’m getting? Many startup companies struggle to get press, but do not know how to properly capitalize on it when they actually get it. A startup should have a press page where they can post all the press they receive. There is nothing like overnight success when it comes to PR. Entrepreneurs have to follow these steps if they want to achieve PR success. If started early and done properly, these steps will ensure a startup company gets great press. Thanks to Murray Newlands for answering the questions and sharing his knowledge. It seems that success comes from talking about how to solve people problems, not about how great or cheap is your product or service. The same principle can be applied to blogging. If you are able to help your readers by providing real and practical solutions to their needs, you will gain their trust and you will build a solid base of fans. Also, be sure to create connections within your niche. You will learn from them. Plus, you will have friends who are going to help you when requested. These few principles work for offline businesses, as well as for online activities. They are not hard to understand and they are relatively easy to apply, if you get to know your audience. Thanks for reading and please share your views in the comments below, thanks! Great Post, I don’t know who is Murray. But after reading the entire thing, I came to know about his way of writing and its principles methods of success.. I really impressed with the last question “How can I make the most out of the press I’m getting?” , Yes, there should be press page which talks about the update in blog/interviews with great person ( like this post ) ; ) to get it. sometimes the basics to succeed are really simple. The same could be applied to blogging. Thanks for commenting and have a great rest of this week. Story sell SO well Erik! Murray’s advice works for me because I saw first hand how Blogging from Paradise took off. I decided to tell stories, my stories, and I injected some practical tips in there to really resonate with my audience. Stories are so popular. Example; we just watched the final episode of one of our favorite stories/shows: Sons of Anarchy. We were so drawn into the story that we couldn’t help to watch all episodes of the series. Totally addicting, totally thrilling, totally enthralling, because we bought into the story line. We’ve been reeled in by shows like Breaking Bad too, and I hope to reel people in to Blogging from Paradise with my stories of travel, and blogging tips, and living the internet lifestyle. Murray gets it. Stories sell, and will always sell, whether you’re talking start ups or blogging, or any thing that you want to get the word out there. People vibe with stories and don’t pay much attention to any thing else. Of course you’re selling something so don’t forget to work your product into your story. I’m getting better at doing that with my eBooks. Just today I started a Buy 1 Get 1 Free Weekly special on BFP. I like the idea because I have so many eBooks to give and I know I can drum up sales while giving away massive value. All about freeing me, and freeing my audience, to retire to a life of island hopping through smart blogging, and if I can offer a Buy 1 Get 1 Free product drive, each week, switching up my eBooks in the process, I know that I’ll bump up sales and also, I’ll expand my product and brand awareness while helping my audience greatly. That’s the deal, if you tell a story and make your products enticing, you’ll grow your start up or blog with increasingly less effort. Erik, thanks for sharing yours – and Murray’s – insight! you certainly know how to share your personal stories while teaching blogging and internet marketing. This sounds easier to understand and you get in touch with your audience personally. Also, people love to get excited. They also buy depending on their emotions. A good internet marketer is well aware of this. Good idea you had of giving away an eBook for people who purchase one. Thanks for leaving your insights here, Ryan. Nice share. Murray have shared some nice points here. Sharing stories is one of the best strategy to spread the word about your brand or product. I agree that “talking about how to solve people problems, not about how great or cheap is your product or service.” is good way to attract more customers. Glad you liked the post, Kuldeep. Some good lessons learned here. This make so much sense. It’s interesting how much companies still don’t have gotten it, is it? They have not Understood that whatever their service or product is, it’s for the people, and people are not machines, they like stories. Journalists are people too, and they see boring pitches on a daily basis, so why would they be interested in yet another? Nobody cares about sally newsletters, articles or press releases, people function on emotions, and what creates emotions are stories. People love stories, no matter who they are, and what they do. We are all attracted by stories. I think we are at the beginning a of huge transition of how we need to see and conduct business, and this should be very interesting to watch. I feel that the way companies used to sell will go away completely. They will have to get smarter, and more human, of they will lose. Thanks for the great insight about PR. Companies must put themselves in the shoes of their customers. In this way they can understand their clients needs, problems, interests. As you said, people love to hear stories. Personal stories. Also, they are really sensitive to emotions. I will be likely to buy that product! I am so glad you visited and left your comment here today, Sylviane. Being human can take anyone a long way in their business journey. You definitely want to be transparent and personable. What better way to do this than to tell your story. Tell your story in the way of what you do to provide people solutions to their problem. Most people don’t care too much about the bells and whistles. They’re more concern about getting rid of their problems. If you can not provide this, then you shouldn’t expect them to become your customers. I make an effort to talk about my experiences and how I resolved them, then go into the spill of the products/services I market. Before people can buy from you, they have to relate to you. When they feel comfortable with you, then you stand a better chance in selling what you market! Thanks for the share Erik! This was a great one to digest! Being personal is the way to connect deeply with your audience. As you stated, people love to hear the solutions to their problems, or needs. You tell stories, your problems, and how you solved them. So people can relate with you. They feel a sense of belonging. Thanks so much for adding that and for leaving your views. Have a great rest of this week, Sherman. Doing great and getting its credit greater is the basic objective of each PR campaign. For any kind of startup the first point to go to press is the very foundation of their business. They can release a news or info to journalist forums and news media what your company is going to do for the benefit of the market and consumer. Ideas count a lot to develop and implement a PR campaign successful. I personally observed so many bloggers create wonders for the benefit of their community but don’t make their achievement public through press to an entirely different type of audience. I learnt so many new points in this very informative interview. Thanks a lot for sharing. getting good PR is very important for a startup, as you stated. Murray gives some useful and interesting suggestions here. Good points for bloggers also. Have a great friday, Mi.